← How Much Did That 11.5-Week Road Trip Cost? We’ve found ourselves gratefully jotting down tips from other travelers and sharing these tips with friends and other travelers we meet during our adventures. Rather than trying to recall our favorite services or phone applications (apps) from memory, I’m going to lay out all our favorite money tools, apps, services, and websites here. These are more than just our favorite tools; I can’t imagine traveling without them! Thanks to all the modern technology of the 21st century, traveling has become a piece of cake. Sort of. My go-to credit card for international travel is the Chase Sapphire Preferred Card. Many travelers know the benefits: 50,000 bonus points after meeting the bonus requirements (which allowed us to fly one-way on a first class flight to SE Asia in 2014), 2x points on travel and dining, travel and purchase protection/insurance, excellent customer service, and most importantly NO foreign transaction fees. The $95 annual fee is waived the first year. I pay the annual fee now because I’ve had it for more than a year, but it pays for itself with no foreign fees. My go-to credit card for domestic travel in the U.S. is the Chase Sapphire Preferred Card’s awesome little sidekick: the Chase Freedom Card. This one has no annual fee, but does not waive foreign transaction fees, hence my preference to only use it domestically. Its bonus offer of 10k, 15k, or 20k points can be combined with points earned from the Chase Sapphire Preferred Card. Chase keeps this card fun interesting by always having quarterly rewards–5x the points on up to $1,500 of purchases in that quarter’s bonus category. Last fall’s bonus category was gas, so I used this card for all gas purchases during our U.S. road trip. That’s 5x the points for gas purchases! Woo! The final card to have (not just for travel but for life) is not a credit card, but a debit card! Anyone from the U.S. can have a Charles Schwab Investor Checking Account. Despite its name, no investor account is needed (they open one, but you don’t have to fund it). The perks are incredible. There are no minimums, no deposit requirements, no fees, nothing, NADA. It truly is free. This debit card can be used at any ATM worldwide without fees; charges made by any bank will be reimbursed to your account at the end of the month. I’m surprised not every American has this debit card/checking account. An American traveling couple we met while motorbiking in Southern Laos told us about the Schwab checking account, and now we share this information with other travelers we meet. 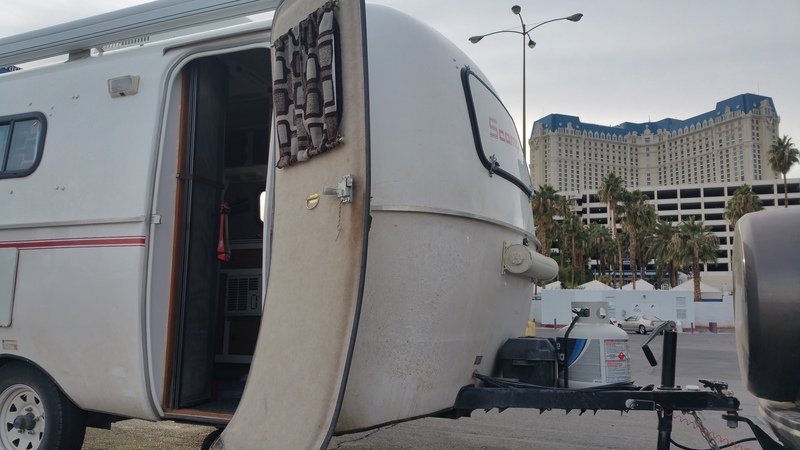 Ever thought about all your mail collecting while you’re traveling? If it’s only a week or two, then no big deal, but when it’s for 3-6 months at a time it can get concerning. Earth Class Mail offers mail scanning, shredding, recycling, check depositing, and online mail management. We first go to usps.com and set up temporary mail forwarding to our address set up at Earth Class Mail. While we’re traveling we receive emails from Earth Class Mail, and we let them know what to do with our mail. The monthly fee ain’t cheap, but Chris writes it off as a business expense. In countries like Argentina where the government exchange rate from dollars to pesos is crap, services like Xoom can be useful and money-saving. Even after the small fee, we ended up saving 30-40% on the cash conversion (11.5 pesos to the dollar instead of 8 pesos to the dollar in May 2015). We simply signed up for an account, sent money from our bank to the cash pickup location, and picked up the cash. Xoom also does cash depositing into other bank accounts, but we only used Xoom to send cash to ourselves while overseas because the exchange rate from the ATM was so bad. I cannot comment on how these sites work internationally, but they’ve been incredibly helpful if not a savior for road tripping around the U.S.
We primarily boondock when we camp, and freecampsites.net is a fantastic source for finding free campsites and inexpensive campsites. All the information and photos are user-uploaded, and people can rate campsites and leave reviews. 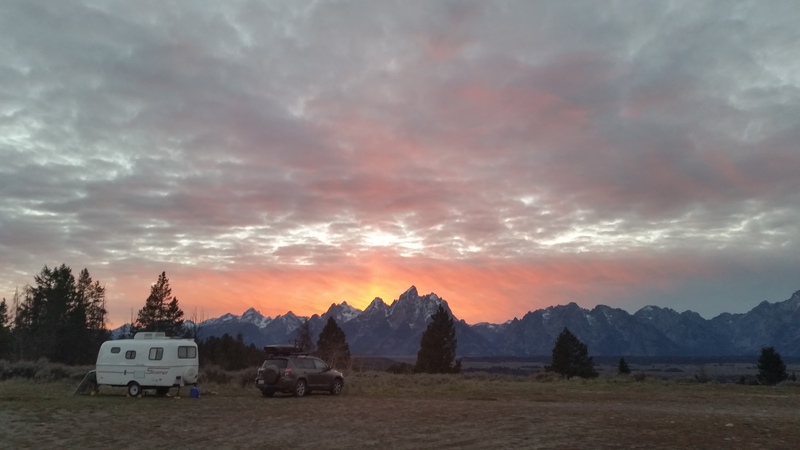 From free incredible sites outside of the Tetons to free conveniently-located parking lots in Las Vegas, we found the majority of our boondocking sites through this site. A fun way to digitally map out a route for a road trip is through tripline.net. There are numerous social avenues that can be taken via sharing and commenting but I’m pretty bare bones with this free service. I like using this site to map my route, and this site allows me to do just that! Years ago I discovered ridewithgps.com when plotting cycling and running routes. My main purpose was to study elevation grades and gains on bike rides or runs. I not only used ridewithgps for planning cycling and running routes during my road trip, but also for planning hikes. Knowing exactly when steep climbs begin and end are helpful in meal planning and pacing. TripIt, for travel planning and itinerary management–can even share with others, and receive alerts such as flight delays! Two specific apps that I’d like to give more attention to are Maps.me and Google Voice. We only discovered Maps.me about 1/3 into our South American trip when we met an American motorcycling across the continent at a hostel. This app puts Google maps to shame. Within the app, you download maps of individual countries (with or without driving routes). Maps include major cities, tiny villages, and even the remotest hiking trails and paths along mountain tribes. Icons indicate gas stations, hospitals, banks, restaurants, fast food, lodging, and more. Pins can be dropped to save locations. Elevations of mountains and peaks are even displayed. And the best feature? GPS. I download the map when I have wifi and save the map for later use. Once I’m out of wifi range, let’s say in a village or the mountains, I open up the map to locate my position. With this app, it’s impossible to get lost! From finding the nearest gas station in a major city to the nearest resting hut along the Bright Angel Trail in the Grand Canyon, this maps app has it all! And finally, Google Voice. I’ve had my cell phone number for more than 10 years, and the idea of canceling my cell phone plan and losing my number broke my heart. Until I discovered I didn’t have to do that. For $20 or so you can port your number over to Google Voice, which automatically cancels the line with your carrier. This means no more monthly mobile payments while I’m traveling, AND I get to keep my number! YAY! While overseas we typically purchase a local SIM card or rely on free wifi at a hostel or restaurant to check our emails, make calls, and do research. In most countries (with the exception of Cuba, Myanmar, and surprisingly Japan) getting a SIM card was easy and super cheap. And with Google Voice, I can still receive phone calls, voicemails, and text messages from my old cell phone number when I’m connected to wifi. This means people can still call me (my parents, landlord, insurance companies, etc.) and leave a voicemail. I don’t ever have to worry about losing contact with anyone who has my number. Whew. And there you have it. These are all our helpful tools we used for backpacking SE Asia and South America and road tripping around the U.S. This page might change from time to time as we travel more, meet more people, and learn about the latest and greatest apps and services. This entry was posted in Uncategorized and tagged best travel credit card, travel apps, travel services. Bookmark the permalink.